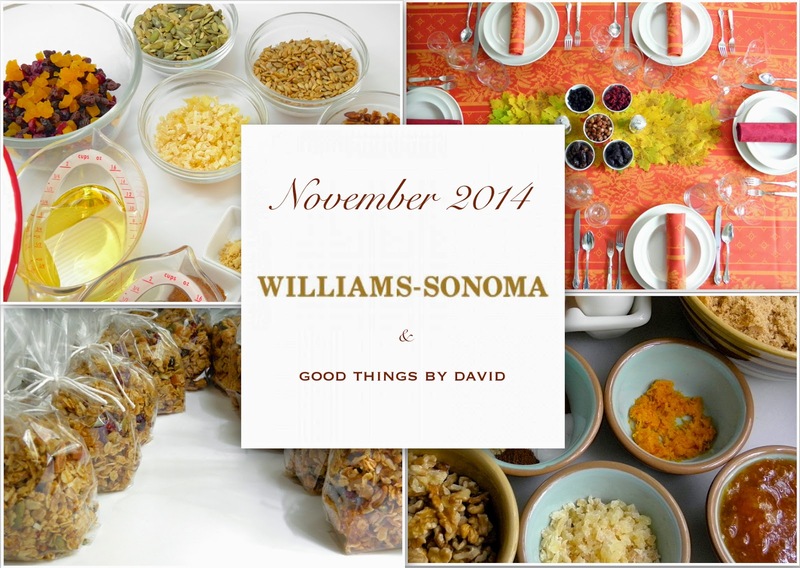 I hope you can join me this Sunday, November 9th at Williams Sonoma in Ardmore, Pennsylvania. The demo which runs between 1pm-3pm, will introduce you to my favorite Fall granola and delicious autumnal hand pies that are quick and easy to prepare. Shop for your favorite kitchen tools and equipment at Williams Sonoma and stop by to see my demo and to say hello. You go David! Wish it was not so far from Eagle, Idaho to Ardmore, PA because I would be there with bells on for sure! Proud of you!!! I wish that I lived closer just to be in attendance. Sending you luck and love from Colorado Springs David! P.S. Have you tried Martha's Bacon Jam recipe? Just curious. I haven't tried Martha's bacon jam, but that sounds delicious!